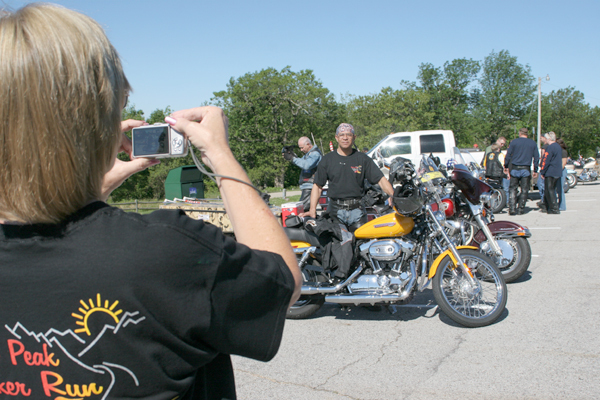 The "Peak to Peak" Poker Run starts at Queen Wilhelmina State Park on the Talimena Drive near Mena, Ark. and runs to Mount Magazine just below Paris, Ark. 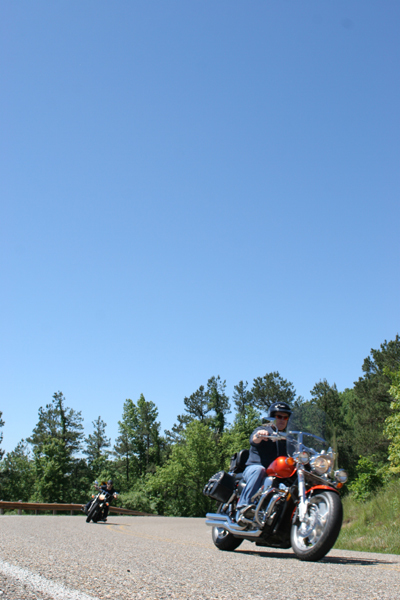 The run benefits the two state parks located on the tallest peaks in Arkansas and takes rider on some of the best roads in the country... period! Great roads... great scenery... great memories. Picture taking is a popular activity at the two state parks. 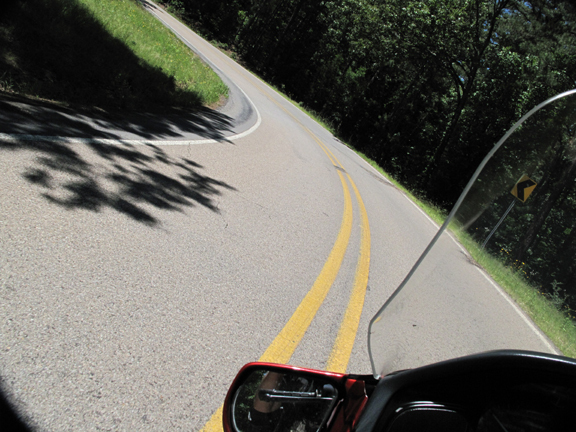 Plus, the roads of the Ozarks and the Ouachitas are FANATASTIC! 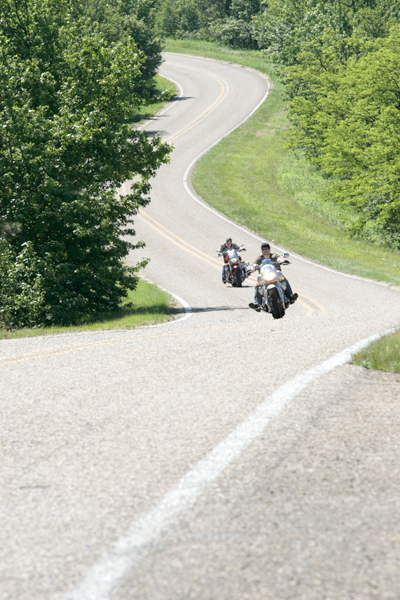 The area supplies riding enthusiasts with the type of riding they enjoy most - sport; cruising; adventure (yes, you owe it to yourself to put that Adventure-Touring bike to good use. 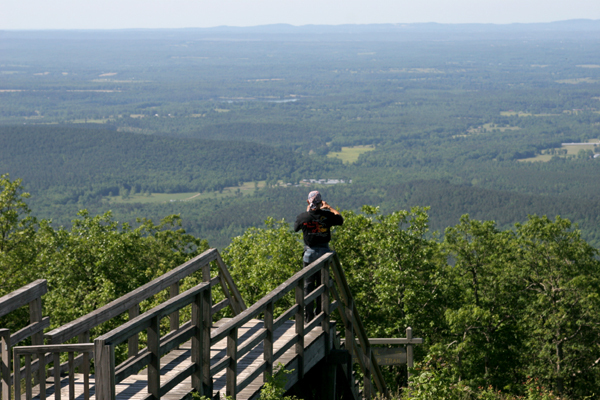 The view from Mount Magazine, in the Ozarks, looks south across the Petit Jean River Valley to the Ouachita Mountains. 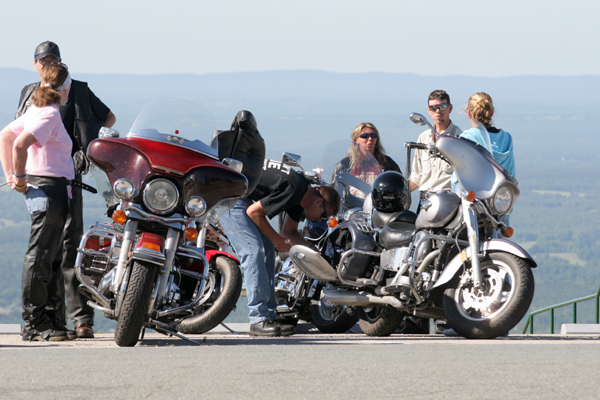 Whether you ride from "peak to peak" in the annual poker run or on your own, you will find many of the roads - like AR 309 from Havana to Mount Magazine - technically challenging. But whether difficult or easy-going, broad sweepers, the surrounding scenery is wonderful. 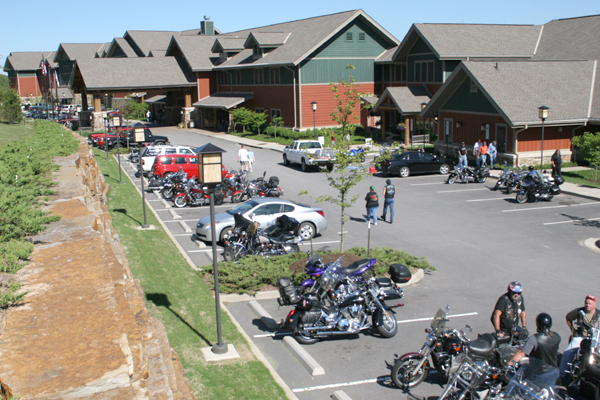 Left: The Lodge on Mount Magazine features luxurious accommodations in the three-year old, $36 million facility. 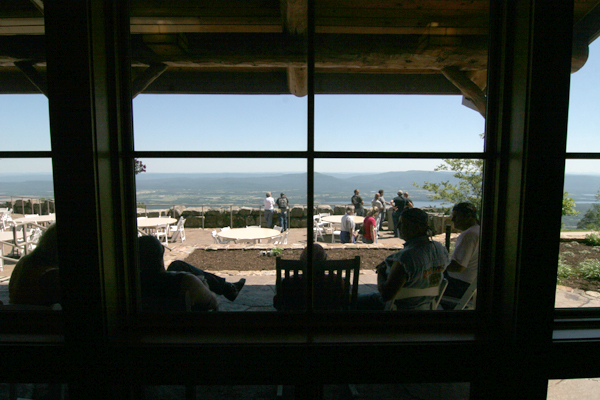 Far left: The view from the great room of the Lodge is equally awe inspiring. 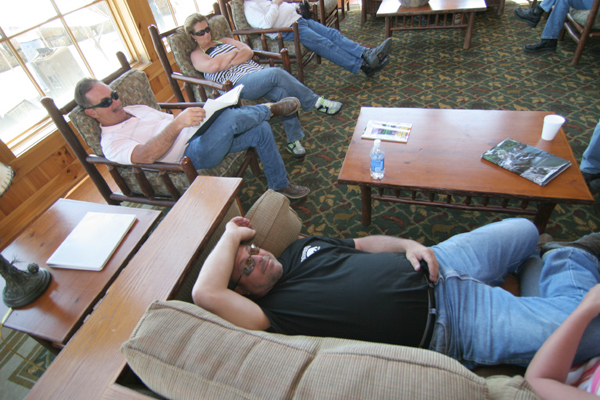 Plus, left, it's a great place for a tired rider to relax after completing the "Peak to Peak Poker Run". 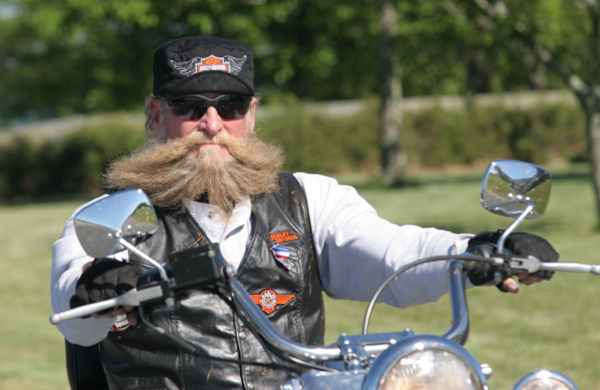 I think this rider actually was, with great effort, able to open one eye to shoot me "the look" when I made his "portrait". Notice the slight grin on his face. Riders are such a friendly, amiable lot, don't you know.